Happy Hypno-Tuesday! Meredith Locher joins us once again on this episode of Hypnosis Etc. on www.CalBanyan.com. In this episode, Meredith discusses the NGH Annual Convention 2013 and the sessions that are scheduled to occur. Meredith informs us of a a talk that she will be co-hosting with Celeste Hackett with the theme of forgiveness at the Annual Convention happening August 9-11, 2013 in Marlboro, Massachusetts. Cal then lists the many discussions he will be hosting at the event that cover a wide range of topics from the informing soul technique to using the internet to better your business. Meredith and Cal talk about all the fun shows that different hypnotists put on, a gala that’s thrown during the convention, and a special gathering for 5-PATHers only. To end this episode, Meredith brings up a question that was asked in the Ask Cal group on Ourhypnospace.com. One of the OHS members wants to know how to prevent himself from being “awoken” during self-hypnosis. He is working his way through the 7th Path Self Hypnosis® CD and finds himself being “awoken” by noises. 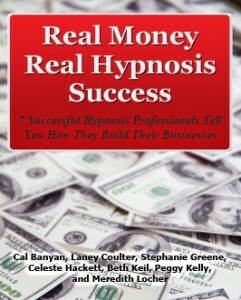 Cal and Meredith give their expert advice on the best way to condition your body and mind for self-hypnosis. 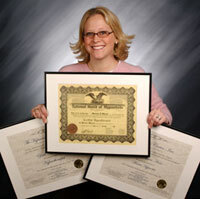 To contact Meredith, visit her at her website at www.yourpathhypnosis.com. We Forgot!!! … We forgot to pick another winner of a Hypno-Mug! Maybe we will pick two next week to make up for our mistake. 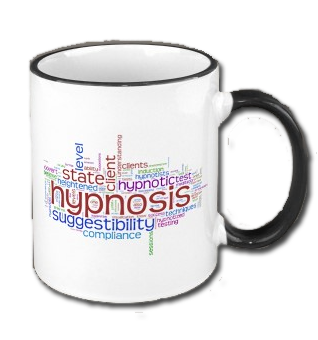 In the mean time congrats once again to our last week’s winer, Rose Woodruff, for winning a FREE Hypno-Mug last week! You have 30 days from the publishing of this broadcast to contact us either via email or phone to claim your mug.